Connoisseur Media CEO Jeff Warshaw said, “We are not paying rent going forward. 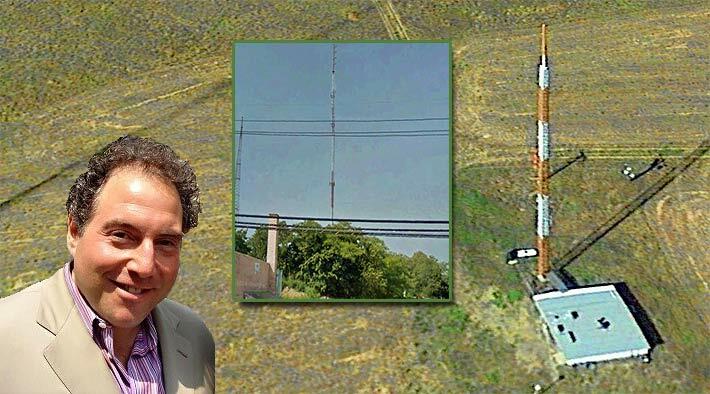 as compared to some companies that use the tower sale to effectively sell part of their company.” According to the FCC’s database, two of the 10 towers that CTI acquired included a 315-foot structure in Hempstead, N.Y. (inset), and a 500-foot tower in Billings, Mont. Connecticut-based Connoisseur Media has announced that it struck a $4.1 million deal to sell a “package” of towers to Massachusetts-based CTI Towers. What may be an unusual deal was announced in an unconventional way along with the possibility of creative financing. In place of providing a joint press release announcing the agreement, Connoisseur CEO Jeff Warshaw copied a short article about the deal in the subscription-based website, Inside Radio, and posted it on Connoisseur’s website earlier this week, most likely agreeing with what was written. According to the article, the towers sold were in Long Island, N.Y.; Norwalk, Conn.; Erie, Pa.; and Billings, Mont. CTI CEO Tony Peduto also said that he was requested not to provide comments to the press regarding the agreement, and Warshaw did not return a call to Wireless Estimator. An individual having knowledge of the deal informed Wireless Estimator that CTI picked up approximately 10 towers. Although a small tower buy is typically not national news, in the article, Warshaw appeared to imply that Connoisseur was not going to pay a monthly fee to CTI as a tenant. “We are not paying rent going forward, as compared to some companies that use the tower sale to effectively sell part of their company,” Warshaw said. He also stated that he has seen some radio groups force local clusters to begin paying large rent expenses in order to sell their towers with a big ticket price tag. In the case of one broadcaster, Warshaw said in the article, in several of its markets a tower spin-off took a cluster from positive to negative broadcast cash flow because of the new tower rent expense. Wireless Estimator’s Top 100 Tower Companies shows that CTI owns 132 towers. The company also manages approximately 500 other structures and locations.